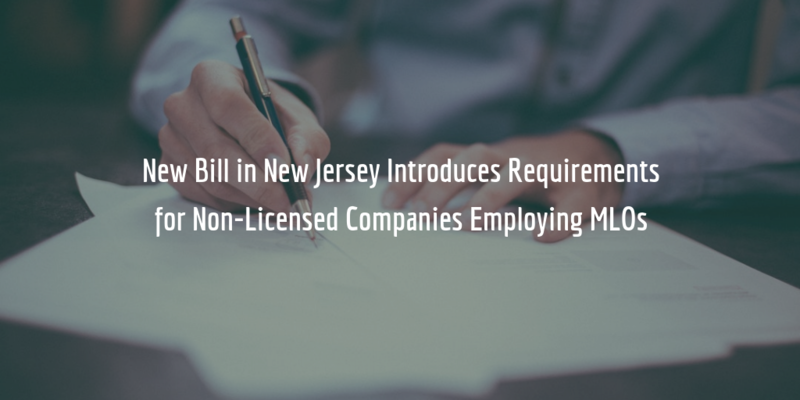 A recently adopted bill in New Jersey has revised the New Jersey Residential Mortgage Lending Act (RMLA) and introduced several new provisions. The new law introduces requirements for entities that are exempt from licensing yet employ mortgage loan originators (MLOs). As of November 24, 2018, such entities will need to register in the state and post a blanket surety bond in an amount of at least $25,000. Keep reading for an overview of the new law and its provisions! What is an exempt company? How much does it cost to get bonded? The cost of your bond is determined by the surety when you apply. It is equal to a percentage of the total amount of the bond. The main factor that influences your bond cost is your personal credit score – applicants with a high score pay low premiums, whereas applicants with lower scores pay higher premiums. You can get an estimate of your bond cost by utilizing our surety bond calculator below. Why is a bond required? The bill states that the $25,000 bond required of exempt companies is put in place to guarantee for their mortgage loan origination related services. Under the surety bond agreement, anyone who suffers losses or damages as a result of the wrongful actions by such a company can secure compensation. Such wrongful actions include fraud, misrepresentation, default, and others. In other words, the surety bond is put in place to protect clients of such exempt companies. Under the bond agreement, when a claim is filed against the bond, the company has to take care of the claim. If the company is unable to do so, the surety will cover the claim, up to the full amount of the bond. Ultimately, though, the company remains liable and must repay the surety in full for its coverage. Do you have any additional questions about this type of bond? Call us at 877.514.5146 anytime to speak to one of our bond professionals!